Edx is one of the major delivery platforms of MOOCs – massive open online courses. Unlike other providers, Edx was founded by universities themselves – Harvard and MIT – and is entirely non-profit. Their mission is to provide free and inexpensive education to everyone. This platform is exceptional, high quality and innovative – there are several reasons why you should consider taking Edx online courses if you are interested in exploring the world of MOOCs. Institutions like Harvard, Berkeley, Massachusetts Institute of Technology, Boston University, Georgetown University and countless others are working together to provide quality education for anyone with an internet connection. Many courses are online versions of the same ones students are taking at these very colleges, and they even include all the same material, homework and quizzes. The obvious flaw is you’re missing out on the in classroom experience, and don’t have the ability to directly communicate with the teaches. The tests are also graded by online software, so it’s questionable to if that’s comparable to a actual teacher graded version. Even so, getting a very similar education as students who are paying several thousands is a pretty sweet deal, especially if you don’t require a fancy degree. When enrolling in a course on Edx, you usually have two options – you can purchase a verified certificate of completion (usually $49, sometimes up to $99) or audit the course for free, without a certificate. Note that certain courses are paid only and cost several hundred dollars, but the vast majority are very inexpensive or entirely free. Because Edx is a non-profit institution, it relies on selling these verified certificates (along with donations) to continue providing free and inexpensive education. While these certificates don’t exactly equate to a college degree (although some are transferrable for real college credit) it is nonetheless a great way to enhance your education. Edx has started offering courses that can be transferred for actual credits at participating colleges with their Global Freshman Academy and ACE Alternative Credit Project. The Freshman Academy lets incoming freshman take certain classes before they arrive on campus, as well as high school students who want to start taking college courses early. The ACE project is for adults who have completed some college, but want to start getting on track to go back. Certain courses can be taken to earn general credits, which can then be transferred to participating colleges. While it’s great Edx has started offering these options, the program seems to be in its infancy. Out of the 700+ courses offered, only a handful can be taken for actual credits. If you have internet access, you are officially eligible to enroll in any course at Edx. You no longer have to worry about affording college, getting accepted or moving across the country to have access to quality education. It’s an honest chance for anyone who is willing to invest the time and effort into learning to be able to improve their education and ultimately their path in life. One of the major disadvantages of enrolling in college is you have to take courses at a certain time, at a certain place and during a set block of dates. Edx courses allow you to enroll and take classes when and where it’s convienent for you. Many courses are even self-paced, so you can take them whenever and for as long as you want. Without the pressure of traditional course hours and deadlines, it could help ease many people into the process of continuing their education. That being said, since there’s no formal commitment the drop out rate is extremely high, and only a very small percentage of students who enroll in these courses actually finish. It can be incredibly expensive to enroll in college and have no idea what you want out of it. Some students change their major so many times and have taken so many unnecessary courses that they end up taking 5, 6, 7 and sometimes even 8+ years to graduate. It’s a great way for high school students, recent grads and well, basically anyone, to be able to jump online and audit any course, within any subject without the high cost. There’s no requirement to finish classes either, so you can take as many as you like and explore what interests you. A college degree is not a necessity for every path in life, and often times students don’t realize that until they’ve invested a lot of money into their education. The ability to explore options in such an educational setting before investing the money can end up saving some people from a lot of debt. Edx has an exceptionally large number of courses within engineering and computer science, as well as business and management. If you’re interested in those career paths, Edx is the place to start learning. Still though, there are a lot of subjects covered within Edx – plenty of courses are given within the arts, biology, life sciences, health and safety, nutrition, education, humanities, and many more. While certain MOOC providers boast massive numbers of courses (Udemy has over 40,000 online classes) it’s a case of quality over quantity with Edx. Keep in mind places like Udemy aren’t really a fair comparison to Edx – the system is entirely different and courses aren’t generally from actual colleges, but rather anyone who wants to upload a course can, and most of the time quality is compromised. Let’s face it, having access to education from some of the best universities from around the world at little to no cost is just plain awesome. What lifelong learner wouldn’t love it? While Edx in its current state isn’t a formal replacement to traditional college, it’s an awesome way to explore interests, learn new skills and ultimately, enhance your career. Education is always a plus you need to keep learning more and more in order to keep up on current programs. I find that I use to hate school but now that I am older I realize just how much it means to have a good education and how far it can actually get you if you apply it in the right manner. I think it is always as we get older we realize the true value of education, I know I never really appreciated it when I was younger either. You really do need to keep up as things are constantly advancing and new things are being discovered! This does sound like an excellent setup and it will only get better as online learning advances. I think the sky will eventually be the limit here as there are so many possibilities with online learning. Being non-profit gives them a huge amount of credibility right off the bat, and I look forward to checking these out! Yeah I agree, We are in the very early stages as far as online education, I think as programs like Edx and others advance, they may be able to replace college entirely. Wow. I am so glad I found this article because I actually had no idea there were quality college courses on the internet for free or for very little. That you can take at your own pace…and some of the courses are actually from super prestigious universities? How have I not heard of this before?? Definitely something to consider.. It is surprisingly kept under the radar… I think people discredit them immediately because the value isn’t looked upon the same by employers. Unfortunately our society views education as a piece of paper and not having real knowledge and skills. Hopefully that’ll change, and these online hybrid colleges will take off and become more and more recognized. Wow, this sounds like an awesome resource. I was surprised that you didn’t seem to link to edx in your post. Or did I miss it? I am in a bit of a rush :). I am interested however, in the range of courses they offer so I will definitely check them out and see what they have. As a person in the education industry who has to keep up with professional development edx looks to me like it could be a great avenue for this. This sounds really awesome and sounds like something people definitely need. I worry though about there being 700+ classes with only a handful that can be taken for actual credits. If you dont get credits out of the classes what do you get out of them? Would this replace attending an actual university or be a cheaper intermediate for students to go through until they know exactly what area they want to major in? Also is the $49-$99 the price per course or the combined price for each class required to get the certificate? Well, just because you don’t get credits for a class doesn’t mean you don’t gain the skills or knowledge that come from taking the class. I understand people need actual degrees or accredited certificates to get jobs most of the time, but there are many cases just gaining more experience on a topic can help people advance within their careers or even give the confidence to try a completely different career path. There are employers care more about what you can do than what a piece of paper says! (I know, many times this is NOT the case especially in corporate places that have strict policies). I think as of right now I’d say it’s best as a cheaper means for people to figure out what they’re interested in rather than a replacement for college, because you can’t get actual degrees from these types of places yet. I am a college student, and if offered at the time, I think I would have gone the online route. I always take online classes when offered, but I am a biology major, so campus classes it is. You’ve clearly done your homework. I found this article very interesting. Thank you for the information. Online classes have their benefits for sure, but yeah it does really depend on the material. Sometimes you can’t really replace the in class experience within an online setting. Edx sounds like a great way to conveniently enhance my resume. For example, if I had experience, but no education in a certain field that was required for a job I wanted, I could find a class on Edx and get the completion certificate. Who knows, someday this may be the answer to the student loan mess the country faces now. I love free markets and competition! Yeah, that is a really great use for Edx. The problem is it may not work for a lot of people, because many employers may not recognize your “certificate” as valid. Hopefully this is something that will change in the future… I believe your skills and knowledge are way more valuable than a piece of paper. I think it is nuts how much money people have to spend on an education, and with many careers it seems impossible to ever pay it back. I’ve seen so many jobs that expect a college degree and 5+ years experience that are only paying $12/hour… that is crazy. Especially considering a lot of college grads start out 40, 50 or 60+k in debt!!! Thanks for this article – so awesome! I had no idea that this even existed! You’re right, so many college students end up taking courses that they’re not really interested in and spend a lot of money in the process. It’s such a waste because then they go on pursuing something totally different. and the quality of the education you’re receiving. I’m so happy to have found this, thanks again! Yep! It is definitely an awesome way for anyone to explore their interests no matter if they’re in high school or retired. I was one of those students who took way too much time “exploring” and wasted so much money… the horrible part is guidance counselors actually encourage this, well at least mine did! I’m off to have a look, thanks! I keep telling my kids that they should make the most of this FREE education they’re getting as when you finally leave the system and start work you normally have to pay to get back in…. This looks interesting. 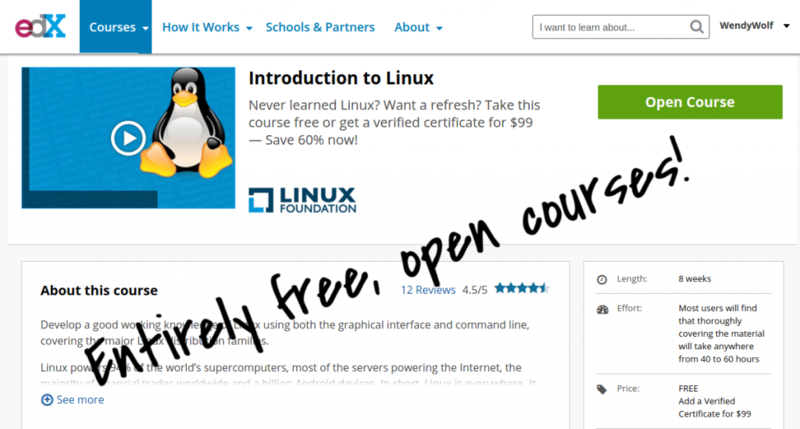 ItÂ´s a lot of benefits to adding courses I want to get extra knowledge. But can I take for example one from history, one from a material, etc.? Is it not like in schools when you focus on one profession so you, for example, take only courses from history? Too, have I unlimited time to finish the courses with if needed? For example, I take a course in history but something come up so I canÂ´t take the test now, can I finish it next year without to start again? I think you can sign up to whatever classes you want, there’s no need to follow any type of cirriculum as you would need to with a normal college. As for your last question I think it depends on the class you sign up for. Many of them are self paced, so you can take a year to finish it if you needed! Hi Wendy, thank you for this information on dx. I had never heard of this and it sounds like an idea that is long overdue. Tuition in traditional universities has skyrocketed out of control. Many colleges have finally realized that they had better offer online course, but they still charge outrageous fees. I sure this takes off and forces them to bring down tuition. Many of the courses that have traditionally been offered are irrelevant. Edx sounds like a viable solution and I hope it continues to grow. I will certainly be spreading this message! Please let me know if you hear of them offering advanced degrees. Thanks. No problem! Yeah it is not very well known the the public, but hopefully in the future it will take off and be a viable alternative to traditional college for many people. I will let you know if I hear anything about the degrees! 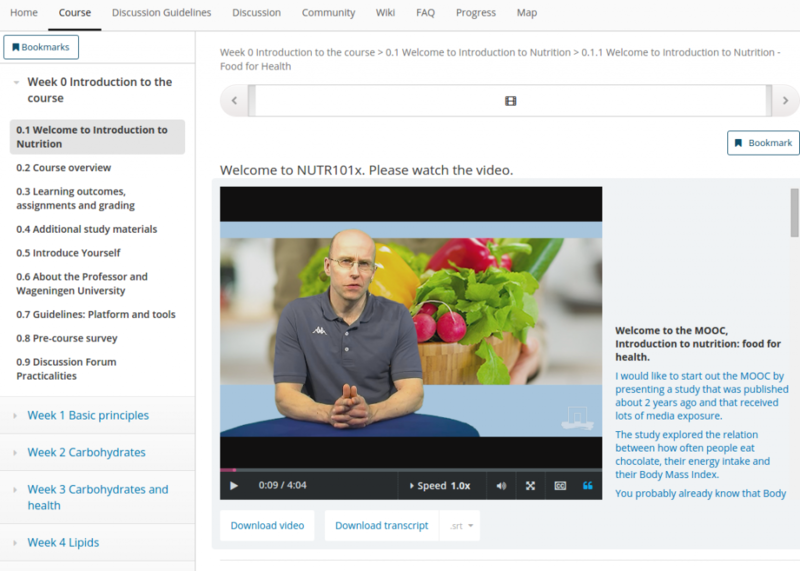 EDX is a great resource, especially because it’s free! Education should be free in my opinion, how else are we going to prosper as a society if you can only obtain quality education if you have enough money? Maybe if more educational resources where available for free, we might not have overcrowded jails, homelessness, and unemployment. Thanks for posting this article, hopefully it insipres more sites to follow the example of edx. Totally agree. I think there should always be some means of free education available to the public, and Edx is doing its part on that. Hopefully in the future this will become more of a mainstream concept and more schools follow in their footsteps. Now this is something that seems to be radically changing the way higher education is delivered to people all around the world. I would love to have the option of actually obtaining a recognized degree or certification online from anywhere in the world. Although not right now, do you still see this replacing the traditional “in classroom” model down the road? I think online learning is the future, although I understand not all fields of study or classes can be taught online (at least with our current level of technology). But even today, you can earn full bachelor degrees online, and many high schools are moving some of their classes online. Some students only have to go to school a few days a week! I am curious to see how the system will evolve though, because an online environment isn’t ideal for a lot of learning situations and I know many people thrive in a classroom setting. Maybe as technology improves they’ll develop more hybrid systems of online/in class learning. My sister completed her online course on edx. One month after completing the course on Python programming, she actually got a job with one the top web agency in New York. She narrated how she started on edx, how she took the exam and passed with good grade. I am so happy for her. Wow that’s awesome, so happy for her! Proof you can gain marketable skills from this type of education, and at least some employers recognize it!